Atonomi is a security protocol for the Internet of Things (IoT). The base technology for their token offering is developed by its parent company CENTRI Technology. By connecting IoT devices without a traditional network infrastructure, Atonomi aims for an ecosystem that identifies and verifies the activities of the IoT devices within the system. The project itself is a protocol built on the Ethereum blockchain, and it aims to provide one of the most sought-after features in the fast growing IoT market: security. Atonomi has a MVP to be announced soon and plans to launch the network on May 15th. ATMI is used to pay fees associated with creating a device’s immutable identity through smart contracts. In addition to that, the identity and reputation of devices in the ecosystem are tokenized. To give incentive to device manufacturers and device owners to participate in the Atonomi Network, auditors are rewarded with ATMI tokens for their service. – Ten years of experience as a business analyst at Fairchild and Weyerhaeuser- Managing partner at ITSource for 15 years. – Fully functional product to be launched on May 15th. For those interested in a much deeper breakdown of Atonomi, read our full report here. 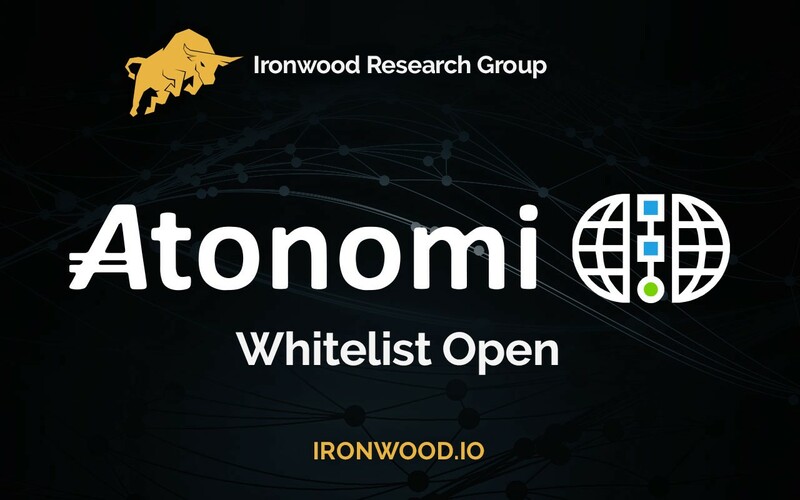 Whitelisting for the ICO was just announced today, May 3rd, so please visit Atonomi’s website if you are interested in contributing. Atonomi is one of the more popular and promising ICOs of late, so it is suggested to apply soon if you are interested in contributing.